Yes, it’s me and I know it’s been a long time. Too long! I’m writing you on my return from South Korea. 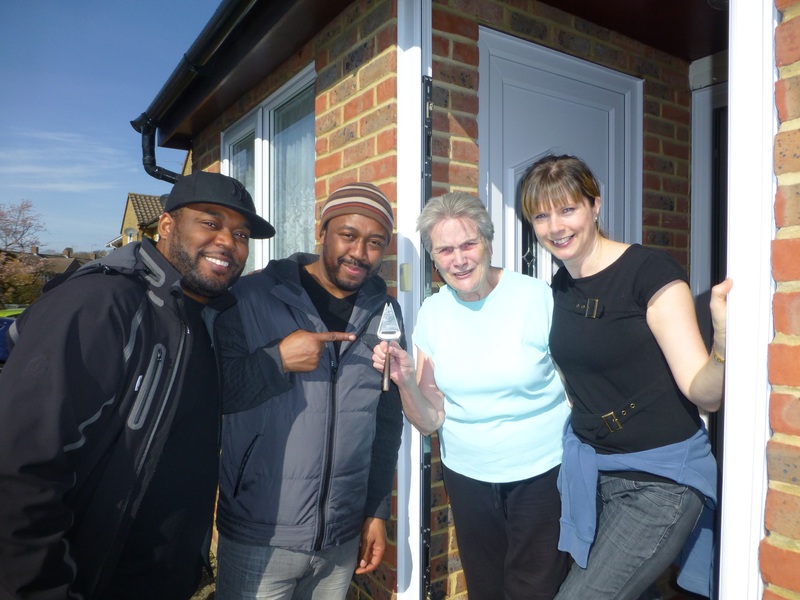 Naturally 7 has been quite busy (I know that’s not news!). I’m going to go back to last month and tell you about our last UK tour in February and March. We had several dates with Michael Bublé and several headlining ourselves. What made this particular trip special for Warren and me was the chance to visit our old neighborhood in Bracknell, England and our 1st church we attended in Manchester. I would suppose that many of you know that I use the name “N’glish” because I’m English. Born in Manchester. Well if you didn’t know that, now you do. My brother and I lived in several places in England over the first 10 years of our lives including Manchester, London (Forest Gate and Stoke Newington) and then a small town just outside of Reading called Bracknell (close enough to London for our mother to commute back and forth each day to work). Bracknell came about with my dad attending a school called Newbold College while studying Theology. After four years there we moved to the US where he went on to do his Masters in Psychology. Although we have made several trips to England over the last few years we’ve never had enough time or been close enough to go back to our former neighborhoods with the exception of London where many of our relatives still live. This particular trip placed us in Manchester for an entire week! And then later in Reading. Yes, that’s the city that’s so close to Bracknell. So the plans went into effect! First we decided to visit our SDA church in Manchester. The most significant thing about an SDA church is that they worship on Saturday, the original Sabbath day from the Bible. And this was our first time that our schedule allowed us to be able to visit. This was exciting! This was our first church! The church we were both blessed as babies shortly after birth! Although we left Manchester around age 5 and 6, we have tons of memories! It was absolutely wonderful to worship that day and have lunch with family before having to get to the arena for our show that evening. The two biggest things we were struck by was how small everything is in reality compared to your memories LOL … the church wasn’t even close to the size that I remember. The second thing was we could only identify with about 10 people as so many people have moved or passed or changed so much we can’t recognize them. It was the highlight of our day to have lunch with our cousin we were so close to and his parents. The following week we headlined quite a few cities including Leeds, Sheffield, Newcastle and Reading. Once we got to Reading, we knew we only had a few hours to make things happen. Assisted by our UK friends Vera and Tracey (Tracey actually lives in Bracknell … now what’s the chances of that! ), Warren and I (and my brother in law, Jamal) started to look around the old neighborhood. SO SAD! Our old school was no longer there. But the tree we use to climb on the street we lived on was alive and well. This was a tree that all the kids in the neighborhood climbed. I’m not kidding, sometimes there would be 15-20 children in this tree! The branches were made for all the events and imaginations of children. How wonderful do you think it was for Warren and me to see that tree? You cannot imagine … I could shed a tear. I went back in time and relived so many moments. Sometimes we never know how happy we were until we are not there anymore. A very nice lady named Joan opened the door and I explained that I used to live there and within one minute she said, “Come in”. She allowed us to look around a bit and we talked for about 30 min in the back yard. She was the person who moved in right after we left and she started to tell us who was still left on the block from 30+ years ago. We invited her to the show and she made our day by actually coming and I got to tell this story I’m telling you to the audience that night. I really, really want to thank Joan for opening her door in the first place! What a treat. When we left her home, I decided to ring the bell next door as Joan told me that our neighbors were still there. What did I have to lose? Nothing! Let’s do it. Guess what? We caught this part on video :-)!!!!!!!!!! Check it out…. 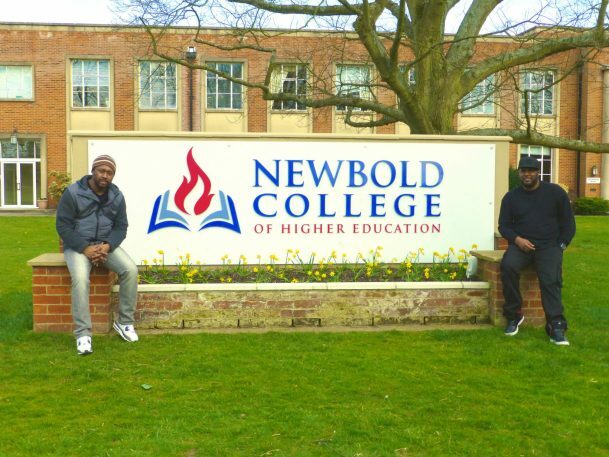 This entry was posted in News, Roundtrips and tagged Bracknell, Manchester, N'glish, Newbold College, Roger Thomas, Roundtrips, Warren Thomas. Bookmark the permalink.